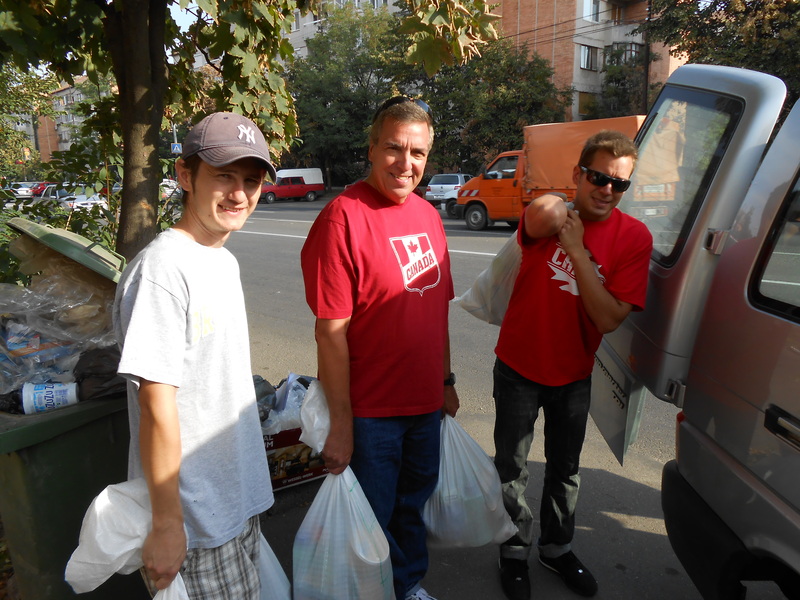 Mircea, Dad and Jonathan bringing the sacks to van. Today was another very busy day yet a very fulfilling one! This morning my family and I met my co-workers Norbi and Mircea around 9:00am at the office. 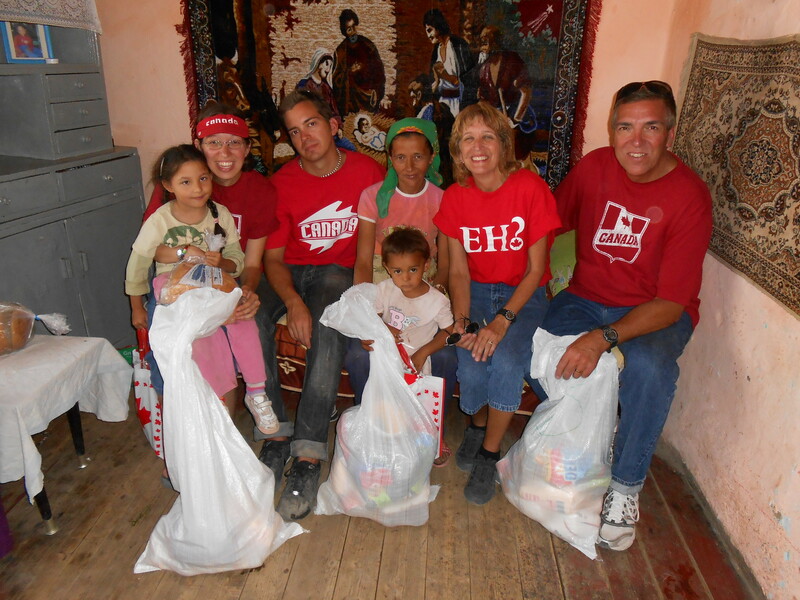 There we put the last items into the food sacks and then took time to load up the van with all of the food packages for the Sabolciu gypsy village. 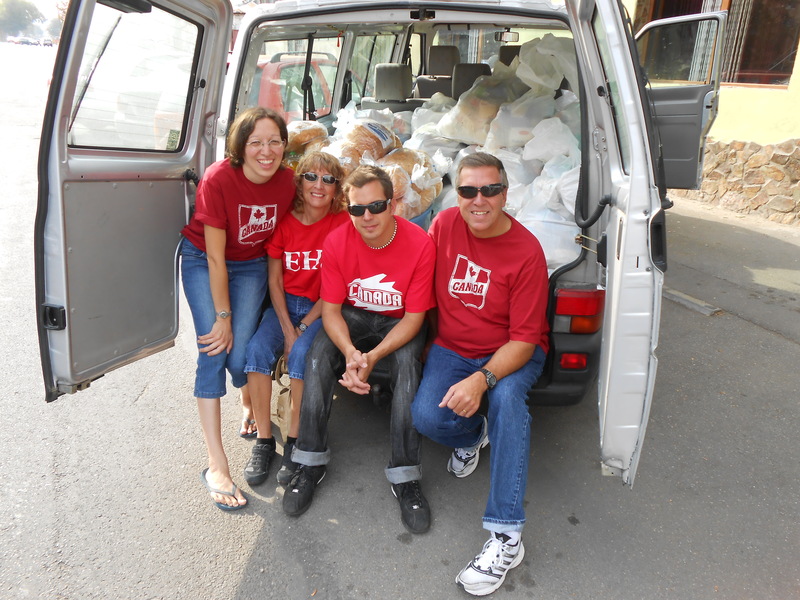 My family was amazed to see that van load up and then we also had gift bags for all of the children as well so it was one fully tight packed van! Sabolciu gypsy village for the day. On the way to the village we picked up Andra who was a great help to us with translating for us while we were there. 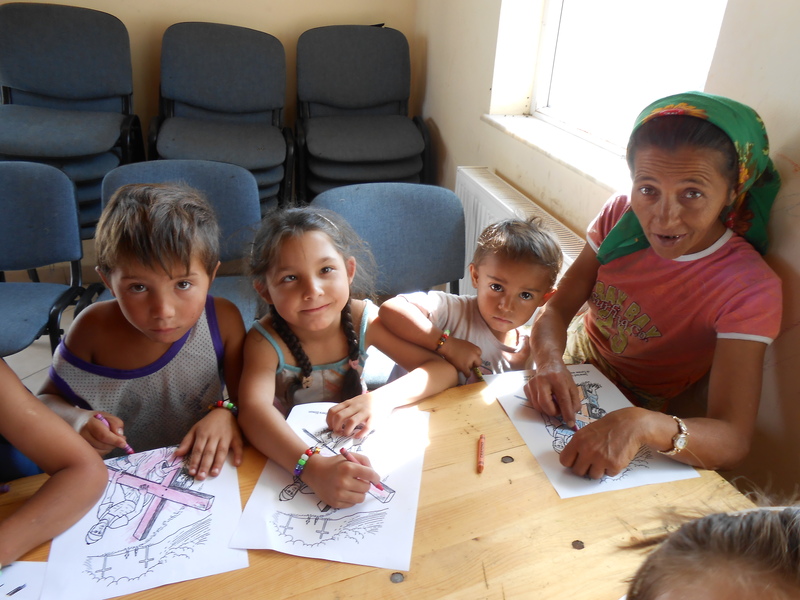 When we got to Sabolciu we gathered all of the children together in the church where we did a VBS program with them. We sang songs, shared the gospel through the salvation bead bracelets, then we made them, coloured for a bit and at the end we gave the kids a snack. I’m glad it went well even though they didn’t listen so well when we made the bracelets but overall I thought it went alright and they did a wonderful job at singing! After we did the VBS program with the children in the church we went to all of the houses in the village (individually) and handed out the food packages to the families and gift bags to all of the children. They weren’t expecting it at all so it was a complete surprise to them! It was such a blessing to not only hand out the food packages and gift bags to the kids but also to take time to pray for every family as well. I’m so glad for the opportunity that God gave my family to be able to reach out to this precious gypsy community at Sabolciu. It was a very special time for all of us! My family with the Fecete family. decided to get a late lunch/ early dinner at MacDonald’s. After we finished eating we said good-bye to Norbi and Mircea for their help and thanked them for all of their help. Then we went to the walking street, booked our airport shuttle service and then went to my church for the Tuesday service. To be honest we were quite exhausted by the time we were at church but it was the only time for my family to be able to go to the international church where I go to the whole time they are in Romania. I’m really glad we went to church because it was great for them to meet my Pastor, some of my friends and my Pastor even prayed for my brother which was so encouraging.